This technical note by Lee & Yang, first published in October 1957, is based on a series of lectures given in January 1957. 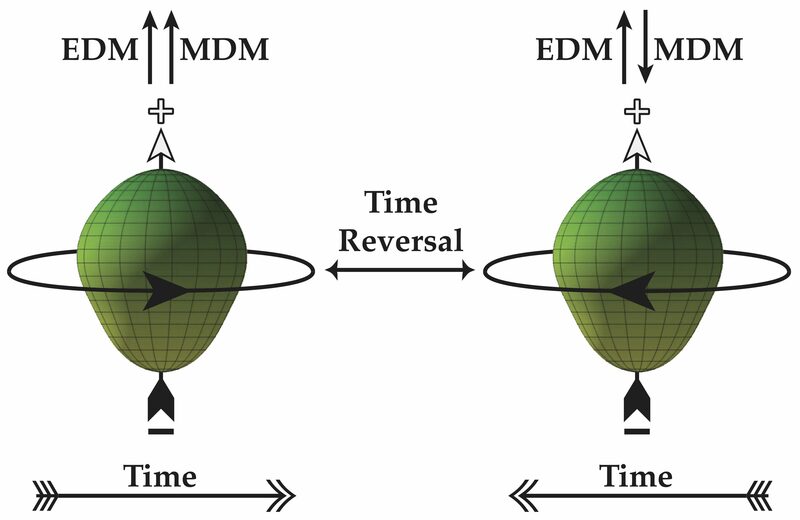 Of particular note is “Section III.4 Static Electric Dipole Moment” on page 17 which indicated, perhaps for the first time, that non-zero EDMs would violate not only parity symmetry and but also time-reversal symmetry. The substance of these notes comes from pub- lished and unpublished research of the under- signed. In form and presentation these notes follow largely a series of six lectures given by one of us (T.D. Lee) at Brookhaven National Laboratory during January 1957. The lecture notes were originally edited by Drs. L.C.L. Yuan, B.H. McCormick, W. Chinowsky, and R.K. Adair, to all of whom grateful acknowledgment is hereby made. Dr. Y uan is especially to be thanked for the time and advice he generously contributed in the process of the later expansion and changes in the notes. Author(s) Lee, T. D.; Yang, C. N.